01-UR (i) Graduate from a recognized University with. Diploma in Yoga from a recognized Institution by the Government. 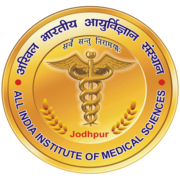 Eligible candidates may apply online at AIIMS Jodhpur's website (direct link is given below) from 25 Jan 2019 to 23 Apr 2019 till 05:00 PM.